As debates about migrants and refugees reverberate around the world, this book offers an important first-hand account of how migration is being approached at the highest levels of international governance. Whereas refugees have long been protected by international law, migrants have been treated differently, with no international consensus definition and no one international migration system. This all changed in September 2016, when the 193 members of the United Nations unanimously adopted the New York Declaration on Refugees and Migrants, laying the groundwork for the creation of governance frameworks for migrants and refugees worldwide. 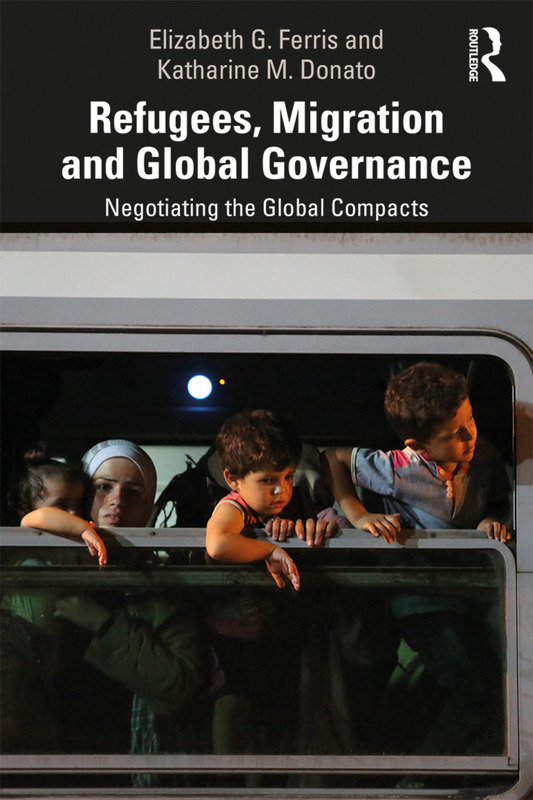 This book provides a fly on the wall analysis of the opportunities and challenges of the two new Global Compacts on Refugees and Migration as governments, international NGOs, multilateral institutions, and other actors develop and negotiate them. Looking beyond the compacts, the book considers migration governance over time, and asking the bigger questions of what the international community can do on the one hand to affirm and strengthen safe, orderly, and regular migration to help drive economic growth and prosperity, whilst on the other hand responding to the problems caused by increasing numbers of refugees and irregular migrants. This highly engaging and informative account will be of interest to policy-makers, academics and students concerned with global migration and refugee governance. Elizabeth G. Ferris is a Research Professor at the Institute for the Study of International Migration, Edmund Walsh School of Foreign Service, Georgetown University, USA and formerly served as Senior Adviser at the Office of the Global Summit on Large Movements of Refugees and Migrants, United Nations Office of the Secretary-General.